Product #20919 | SKU 3660-016-110A | 0.0 (no ratings yet) Thanks for your rating! Designed to cut through Smoke and Low-Visibility Conditions. The rechargeable version of the 3610 Flashlight. 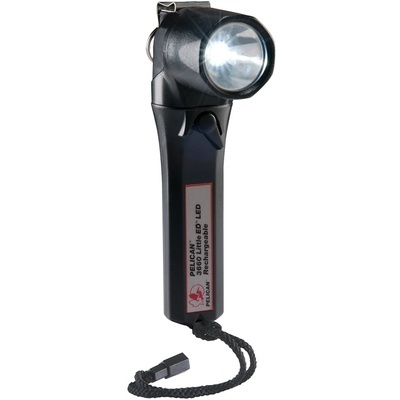 The Pelican 3660 Little Ed Rechargeable Recoil LED Right Angle Flashlight (Black) uses a long-life NiMH battery pack for extended burn time. It comes with a charger base unit that can be installed at home or work using the 110V transformer. Or in a vehicle through direct wiring or 12V plug-in adapter.